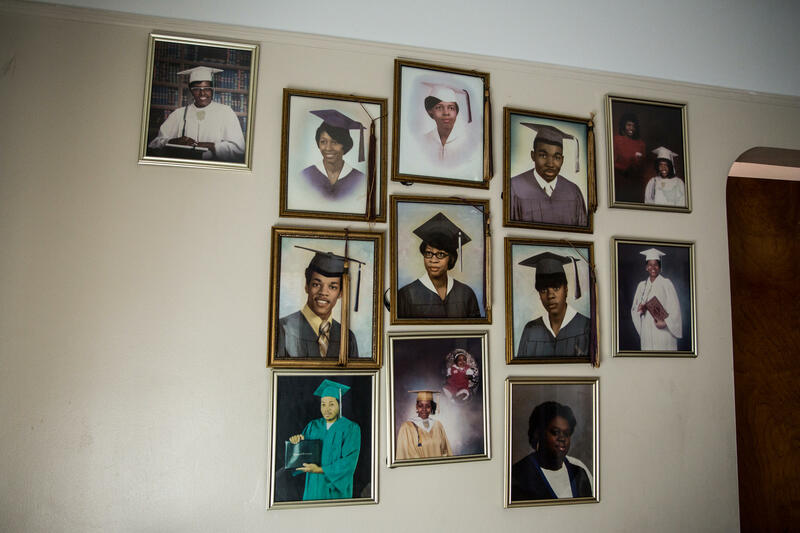 Throwback graduation pictures line the dining room wall. 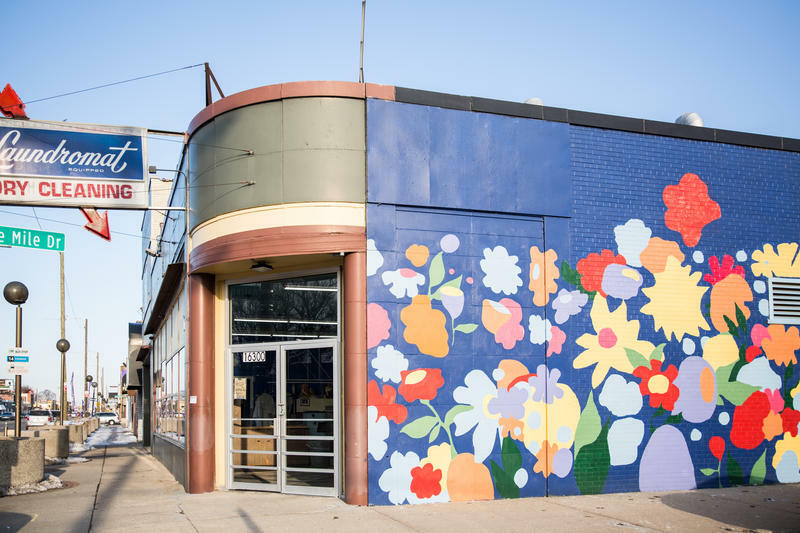 The true essence of any neighborhood is best understood by the people who live, work, play, and stay in the neighborhood. 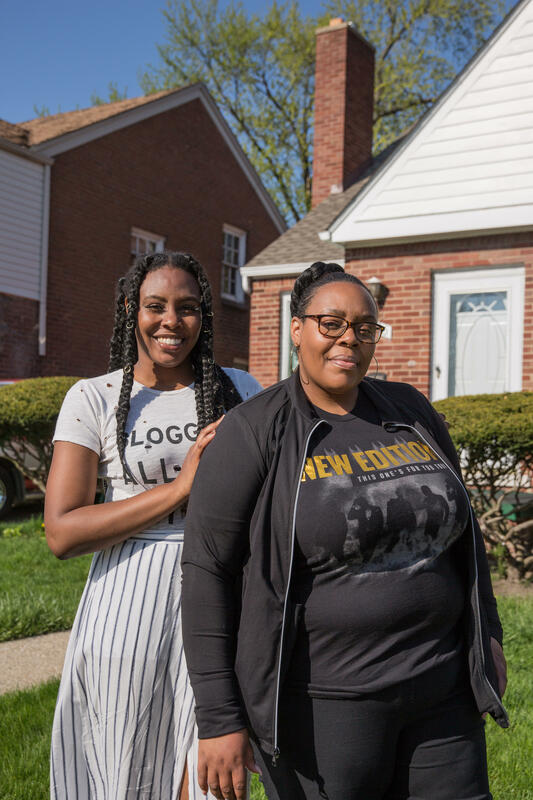 While some Detroiters have a citywide history, this story is particularly special because multiple generations chose to stay on the same block in MorningSide. Trice Clark (left) and Tamiko Clark (right) stand in front of their family home in MorningSide. 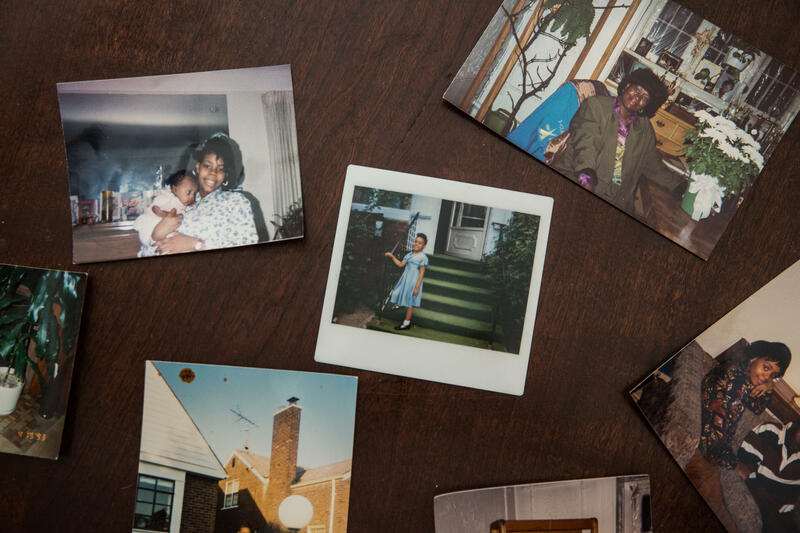 Although just about every change that a neighborhood experiences can be traced back to a citywide trend or new development, the moments with the most impact happen right at home. 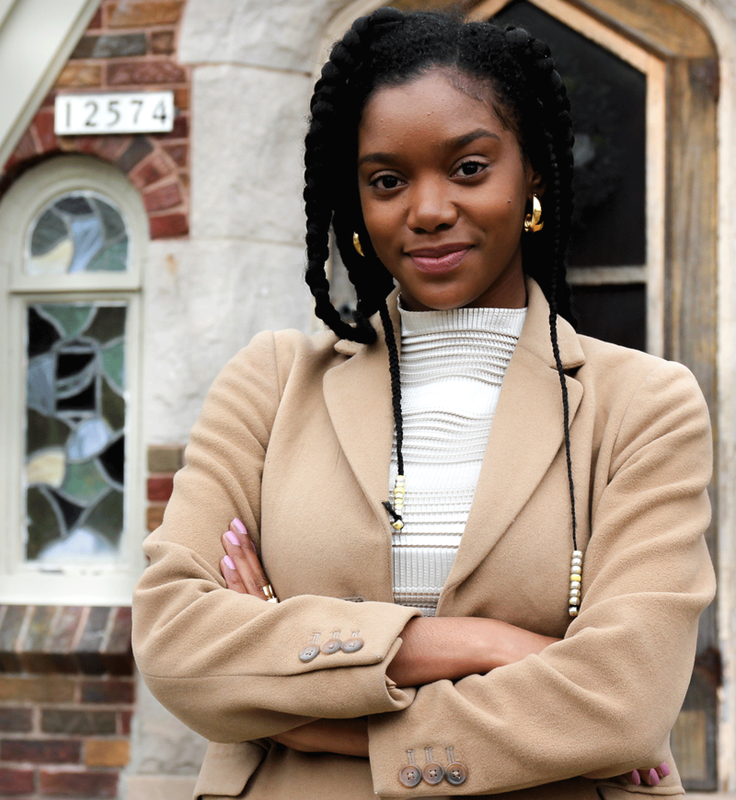 That's why Trice Clark invited the women in her family to share their stories, and walk us through pivotal moments in the MorningSide community and the city of Detroit.